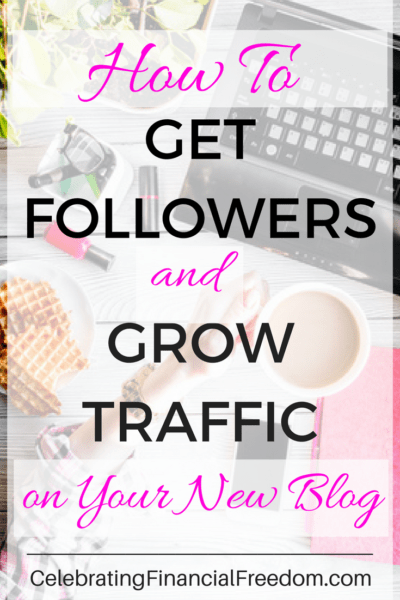 One of the best things you can do to make your new blog a success is to consistently grow traffic and get new followers. In today's post I'll show you my best tips for getting more traffic to your new blog, growing your traffic consistently, and creating content that makes readers want to come back for more. 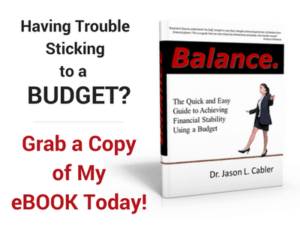 You don’t need millions of pageviews to have a financially successful blog. But the more visitors and pageviews you have the better so you can increase revenue and influence for your blog. Every blog has it’s own personality. Some have low traffic but make a large income, and some high traffic blogs don’t make much money at all. But in general, the more traffic you have, and the more you grow your traffic, the more money you can make. Basically, it all comes down to how you set things up and how well you get to know your audience’s wants and needs. Posting on a regular schedule keeps your audience engaged. A good rule of thumb is to post at least once a week. Posting to your blog even more often can be beneficial. But it takes a lot more of your time and can lead to burnout if you’re not careful. But hey, if you can do it, go for it! Posting irregularly or infrequently doesn’t foster good reader engagement. Try to put up a new post on the same day(s) every week so your readers will know when to expect new content. If they can expect a new post on a certain day, they’re more likely to go to your blog and look for your new post. Don't forget to email your readers every time you publish a post! The headline (title) of your blog post makes a huge difference. It’s the first thing people see and helps them decide whether or not they should click to read your article. The more specific and action oriented your headline, the more likely your reader is to click over to your post. If you want readers to help you grow traffic to your blog, they should be able to easily share your content. If someone has to go through 2-3 steps just to share your post to Facebook, Pinterest, or another social site, it’s likely they’ll just give up and not share your content at all. Make sharing as seamless as possible. Also, Make sure that your social sharing icons are easy to find. They should be obvious to your reader so they don’t have to hunt them down if they want to share your article. SEO (Search Engine Optimization) is massively important for growing your blog traffic. When you understand how the search engines view your posts and pages, the better you can tweak them so your blog will rank better in the search results. SEO is a huge subject that you won’t learn overnight. But the more you make an effort to understand it, the better off your blog will be. One of the best sites I recommend to learn about SEO is Yoast.com. I also recommend Yoast’s free plugin to help you write blog posts with good SEO. Yoast also has a paid version of their plugin with additional features. However, the free plugin is awesome for the beginning blogger. Here is a list of additional resources I recommend for growing your new blog that you'll enjoy. 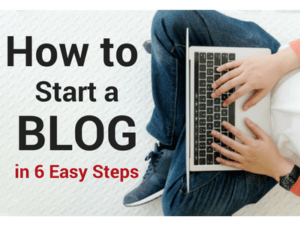 Writing guest posts for other blogs is a great way to grow traffic. When you write a guest post for a blog with a similar audience to yours, you’re able to gain followers you wouldn’t have had access to otherwise. Guest posting is a win-win because you get people clicking over to your blog, and the other blogger gets content for their site that they didn’t have to spend time creating. When writing a blog post, make sure to place links to some of your other blog posts that are related. This internal linking allows the reader to discover more of your content while you get more pageviews. The easier it is for your readers to browse through your site, you'll see an increase in traffic as people click through more of your pages. Internal linking is also good for SEO. Google likes it when your site is highly interlinked. Networking with other bloggers is especially helpful. Each blogger has special skills and knowledge they bring to the table that can help make everyone successful. My experience has been that bloggers are a very helpful bunch. Even the most successful bloggers are willing to help a beginner whenever they can. 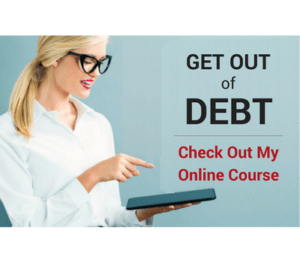 Some of the best ways to forge these connections are on blogging forums and at blogging conferences. I go to FinCon (the Financial Bloggers Conference) every year. I’ve forged some great friendships there that have helped me tremendously with my blog over the years. The more bloggers you get to know, the better off you’ll be! You don’t have to be an English major to write excellent content. But when you write articles that are helpful and easy to understand, readers will be more engaged and more likely to share your content with their friends. You should aim for an absolute minimum of 500 words per article. However, 1,000 words or more is much better, especially if you want to rank higher with the search engines and grow traffic to your blog. Unless you’re an experienced writer, it’s not likely you’re going to publish stellar material at first. Most of my early blog posts were pretty crappy! But stick with it, the more you do it the better you’ll get! 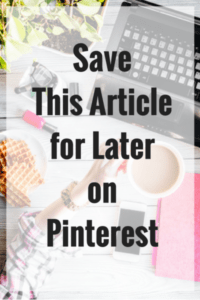 Pinterest is easily one of the best ways to share your content with the world. After Google, Pinterest is my best source of traffic. My readers that come from Pinterest tend to be more engaged and hang around longer than readers from other sources. You’ll need to create great images for each blog post. Write a catchy description for each one that will encourage someone to click over to your site. I use Canva to produce all my images for Pinterest. It’s free and easy to use. Also, I use Tailwind to schedule my pins so I don’t have to spend hours a day pinning images. Tailwind is really convenient and saves a ton of time! I’ve negotiated with Tailwind for you to sign up to get a free trial and discover what a great job it does for increasing traffic to your blog! Of course, there are other social media sites you can be active on as well. Instagram, Facebook, YouTube, Periscope, Snapchat, Twitter and others are all good social media networks that can help you grow traffic to your site. However, It’s best to focus on only two or three social networks. Trying to post to every social media site on a regular basis takes way too much time and energy and will only serve to stress you out. So that’s it for learning how to grow traffic and get more followers. In my next post I’ll show you even more valuable tips you need to know when starting a new blog that I haven't written about anywhere else.